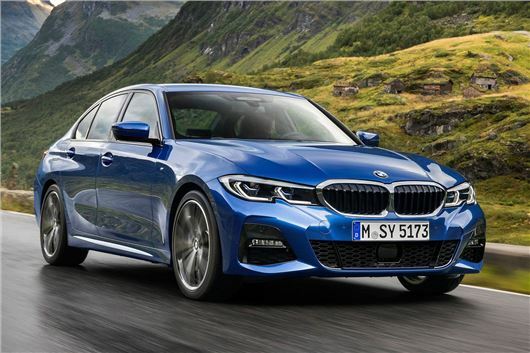 The 2019 BMW 3 Series has been launched at the Paris Motor Show. Larger, lighter and more efficient, the all-new executive saloon will go on sale in March 2019 with prices starting at £33,610. The new BMW 3 Series is wider, longer and lighter than its predecessor - with BMW insisting that it'll remain at the top of its class in terms of handling. Still clearly a 3 Series, the latest model features a larger kidney grille and headlights similar to the bigger 5 Series.